It was a different time. Eleven years of stifling conservatism by Prime Minister Margaret Thatcher and her successor, John Major had just ended. The internet was relatively new and not as widespread as it is now. Britain was going through a period of civil unrest with riots about new taxes and conditions in jails. While rave culture was gaining momentum, grunge and Britpop were waiting for their moment in the sun. Live music at the time was growing ever so extravagant since the wave of MTV. Musical performance became visually more enticing than ever to get audiences out to watch gigs. In absolute defiance of this trend ‘Shoegaze’ entered the scene. Young often shy introverted musicians picked up instruments and began playing within their own neighborhood circles. This small tide rose into the English counterculture in a wash of wall-of-sound guitars with whispery, sweet pop vocals. The genre earned its infamous name because of the way the bands performed. The musicians were gazing at their guitar pedals and barely acknowledge the audience. This genre, being guitar driven, was focused on the liberal use of effects(reverbs, delays, pitch shifters, compressors) to drown out the natural sound of the instrument and create surreal and unique soundscapes. An irked journalist named them “shoegazers” in order to best describe the musical aesthetic they were building, which at that time seemed to defy every convention of what a live concert is supposed to be. The sound of the music was overwhelmingly loud, with long, droning riffs, waves of distortion, and cascades of feedback. Vocals and melodies could barely be distinguished over the walls of guitars. This scene became the target of mockery by magazines since critics found it hard to relate to the music. It had few or indistinct lyrics and so much weird emotion while being overly driven by unrecognizable guitar sounds making it rather inaccessible to the mainstream audience. The genre drew its influence from the sonic experiments of The Velvet Underground, Pink Floyd, Cocteau Twins, and The Jesus and Mary Chain. 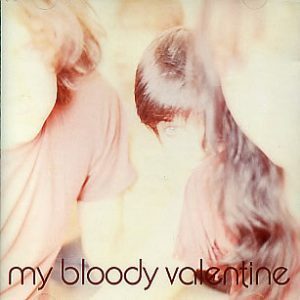 While Spacemen 3 are sometimes referred to as the “godfathers of shoegaze,” and Jesus and Mary Chain’s Psychocandy is considered the first ever shoegaze album, it was My Bloody Valentine that really defined the genre with their early EPs and their first full-length album, Isn’t Anything. Bands that followed, Ride, Lush, Chapterhouse, and the Boo Radleys – added their own stylistic touch. Ride veered close to ’60s psychedelia, while Lush alternated between straight pop and the dream pop of the Cocteau Twins. Almost none of the shoegazers were dynamic performers or gave particularly interesting interviews, which prevented them from breaking through into the U.S. market. In 1992, after the groups had dominated the British music press and indie charts for about three years, they were swept aside by American grunge and the wave of Britpop that ruled British music during the mid-’90s. Some shoegazers broke up within a few years (Chapterhouse, Ride), while other groups, such as the Boo Radleys and Lush, evolved with the times and were able to sustain careers into the late ’90s. The most famous names of the genre include Spaceman 3 and Spiritualized, Swervedriver, Chapterhouse, Curve, Lush, Pale Saints, The Telescopes, Catherine Wheel, Mogwai, Ripe, and Drop City. Most notably bands such as The Verve were able to incorporate shoegaze aesthetics while still being a successful Britpop act. There has been a revival of interest in shoegaze with the recent reunions of Ride, Slowdive, Lush, Telescopes, and Swervedriver. In the ’00s, the shoegaze style of music was taken on by a batch of so-called “new-gaze” bands: Autolux, Loveliescrushing, Asobi Seksu, Serena-Maneesh, and others. In recent years, with advances in digital technology, otherworldly effects can be created more easily than ever before. 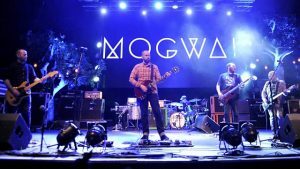 New bands in the shoegaze genre incorporate elements of EDM, krautrock, post-rock, and indie rock to create their effect-laden songs. They include Lowtide (from Melbourne), The Cherry Wave (from Glasgow), DIIV from Brooklyn, Rev Rev Rev, Kindling, and Fazerdaze from New Zealand. Lo! Peninsula is a Shoegaze/Dreampop/psych rock three-piece band based in Imphal, India whose music is both melodic and powerful, carrying one into a psychedelic universe. Shoegaze music may have seemed like a small blip in the radar of musical chronology which didn’t have an obvious impact on musical culture as a whole. Yet it’s Influence on modern music, albeit subtle, remains enduring.